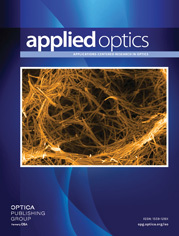 The authors are with the Laser Laboratory, Department of Physics, Burdwan University, Burdwan-713104, India. U. Chatterjee’s e-mail address is duitudit@yahoo.com. A multipass configuration for second-harmonic generation of Nd:YAG laser radiation is demonstrated to produce, for the first time to the authors’ knowledge in twin lithium tetraborate crystals, as much as 21% conversion efficiency even though the effective nonlinear coefficient of the crystal is as low as 1/6th that of KDP. Apart from crystals that have large walk-off angles, low effective nonlinear coefficients, or both, the simple experimental setup would also be quite suitable for those crystals, especially infrared crystals, that have large effective nonlinear coefficients but low laser damage thresholds. a X = O, T, or M.